"Gorgeous. Mesmerizing. Riveting. Alyson Santos has created a sucker-punch of a love story that claims space in my head months after I finished it. 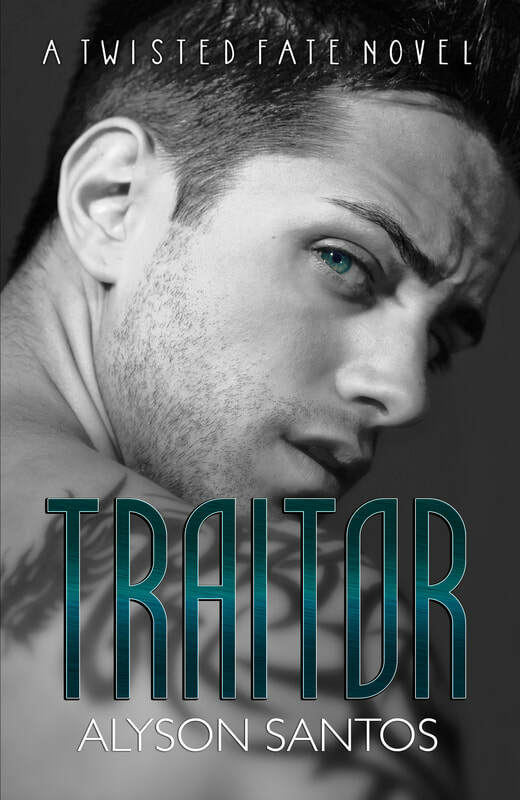 "Traitor" is like reading with 3D goggles on, and Kaleb Novelli fills the pages with his fierce kindness and absolutely luminous personality. This is a five-star must-read if there ever was one. I dare you to dig in." "Traitor has everything! Mystery, intrigue, romance, suspense. And a chemistry so flammable between Andie and Kaleb, I could feel heat radiating from the pages. And talk about a twist I didn't see coming...WHOA!! 5 BRILLIANT and INTRIGUING STARS from me." "Traitor is a book that catches you out of left field and proceeds to completely consume you." "For me, traitor wasn't just a story. It was an experience. I probably, lived Andie's desperation and Kaleb's pain. But I definitely, died for their love story." "I don't even feel like I can come up with adequate words to fully give this book the credit it deserves. Seriously, one of the most profound, thought provoking stories I've ever read. This book is everything and so much more...This book is absolute perfection."